ALSong is a music player the specialty of which is to tune in to radios via streaming, but it also includes a complete lyrics viewer. Despite how popular it is to sing or hum the lyrics of any successful song, there are few programs that offer so much importance to the lyrics of the songs like ALSong. 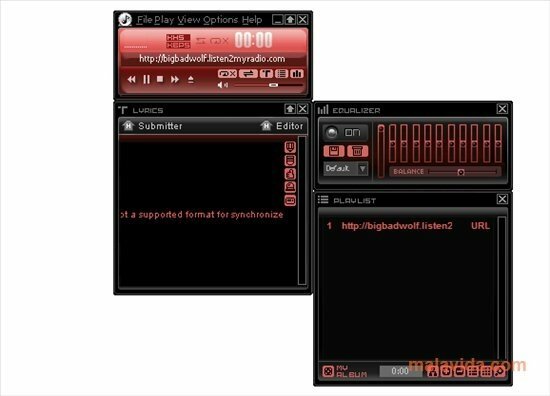 As many others, ALSong bases its interface on the aesthetics marked by Winamp, in other words, a column divided into different areas that you will be able to organize to your own liking and in which you will have the playback controls as well as the basic information, the playlist, the equalizer and the aforementioned lyrics viewer. 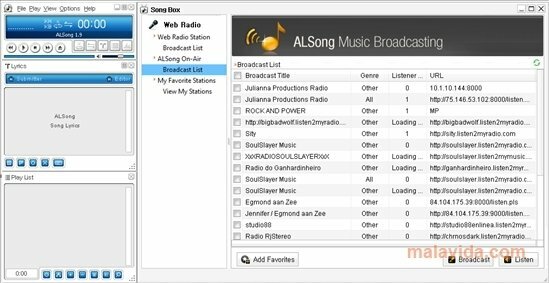 At the same time, if you are listening to the radio you can open a broadcast browser on the left of the interface to search for those that you want to synchronize. 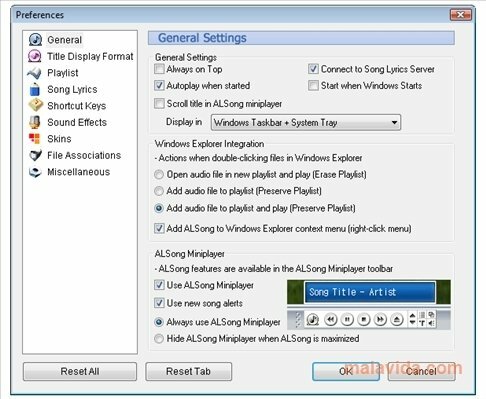 The configuration of ALSong is very clear and offers possibilities like how to use transparencies, change the visualization of the texts and activate the mini player that can work so well if you are working on other things.